Imagine if it were possible to grow an oyster to a market size in less than 12 months. Imagine if that oyster had not needed to be culled and only spent 4-6 months on tray lease culture. There would be no second catch problems, less labour costs per head and potential for far greater efficiency of existing oyster, lease culture. Such biological enhancement is possible and has been demonstrated on small scale experimental land based oyster culture such as the NSW Fisheries project on oyster genetics in the early 1980’s. 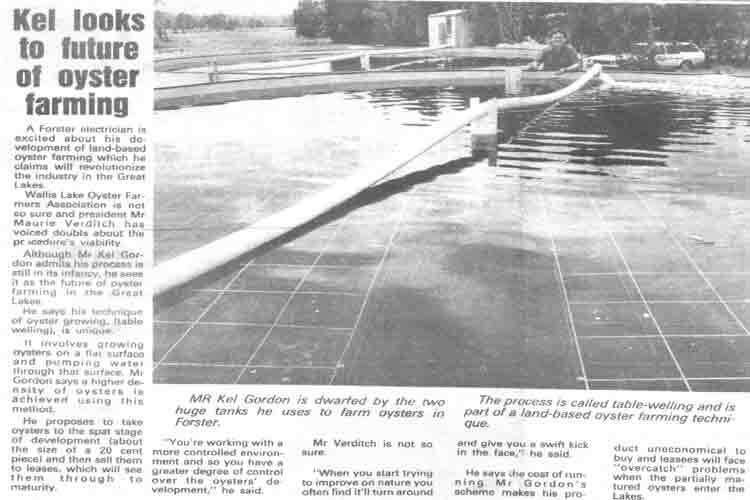 In 1986 a privately funded land based oyster farming project was established near Wallis Lake NSW as a commercial pilot system to evaluate the potential of growing commercial volumes of oysters in tank culture. The land based oyster farming process was given the name of table welling due to the similarity to existing up-welling methods used in oyster hatchery and nursery production. Table Welling was a method to create and maintain optimum factors for stimulating rapid growth in Sydney Rock Oysters at densities of 300% of surface area.. The Land Based Oyster Farming concept set out to culture single seed, wild spat from approximately 4mm to 50mm, in tray systems, in circulating tanks utilising simulated natural water flow, which we labeled as table welling. In overview, an incoming supply pond was fertilised to bloom non specific algae which was fed to single seed oysters in high density tank culture. Oysters converted algae to mucus bound food particles (filter feeding and filter filtration) as faeces and pseudo faeces. The results of the oyster nursery growth trials indicated shell growth could be sustained at approximately 1mm per day at an oyster density of 300% of surface area at temperatures over 19 degrees Celsius. Results also showed that artificial fluctuations in seasonal water temperatures could be used to further enhance such growth as induced temperature fluctuations appeared to stimulate growth. It was found that during the annual peak and trough temperature periods the average growth rate would drop by 70%. The Land Based Oyster Farming (Nursery/Growout) project identified a method for fast growing of single seed oysters into deep cupped 50mm ‘spat’ within a commercial time frame. However the '50mm spat' still needed to be consolidated or fattened. We used existing traditional leases as, fattening required lower flow and density and higher feed levels. For that reason we initially intended to sell graded 20mm to 50mm, deep cupped, spat to oyster farmers for approximately $0.08 cents per unit to generate project funding. Normal lease growout should then have produced plate grade oysters in approximately 6 months as they only need to be fattened. Oyster farmers would have been able to turn over stocks in approximately 6 months from purchase with little or no lease maintenance work. The culture method also aided greatly in the potential to efficiently manage seasonal second catch problems. An oyster farmer would show a gross profit of about $0.30 cents per oyster per year and not $0.40 cents per oyster per 3.5 to 4 years. The culture of Sydney Rock Oysters, today, is basically subsistence farming. It takes approximately 3.5 years to produce a ‘plate grade’ oyster and the farmer receives about 35-40 cents per oyster. Consequently farming requires many thousands of oysters which are quite vulnerable to the environment over such a long culture period. 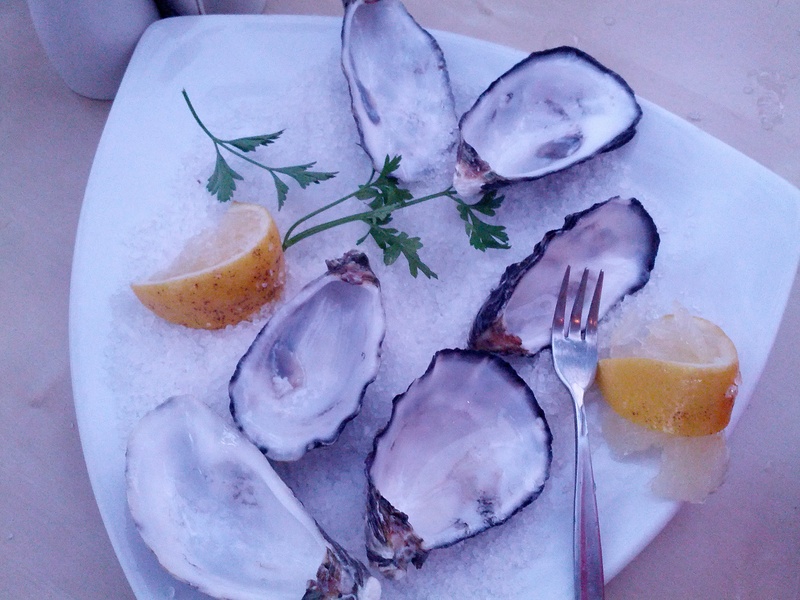 However in less than one week, after harvesting, that same oyster fetches approximately $1.30 in the resturant trade. It appears to be a profitable aquaculture product but, ironically, unproportionally so for the actual farmer. What drives the industry is the quality of the world's best tasting oyster but commercially it is unbalanced with 300% mark up restaurant prices. Land based oyster farming promotes profits back to the oyster farmer by creating high quality product in less than twelve months growout. The author has studied bivalve biology for many years. And it seems that existing culture of the Sydney Rock Oyster is carried out predominantly in the survival zone and not in the zone that promotes or stimulates potential growth, health and commercial performance. This existing culture is known as the intertidal lease system and has been the commercial format of oyster culture for over 100 years. And, this type of culture has always been associated with periods of very high mortality, as we have seen over the last almost tragic decade. However, large numbers of oysters live totally submerged, in the exact same areas, and they can become so large that they cannot be eaten in one mouthful. They are large, old and healthy and presumably have survived outbreaks of QX disease, mud worm infestation and other common predators such as bream and octopi in these very same areas where commercial oyster farmers have had total crop mortality. ???? Ah, cullture stress from farming in the survival zone? 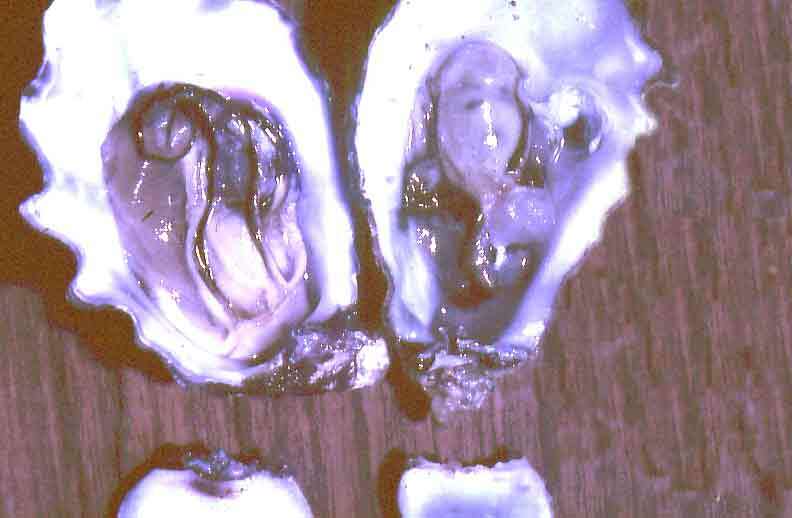 These oysters exist in various estuarine environments along the entire eastern coastline. These environments include the anaerobic bottom mud where they survive unattached (drift or dredge oysters) with only their upper few millimeters exposed to current flow as well as limited areas in the open ocean well below the low tidal range. . Such observations led to the belief that intertidal culture is farming in a survival zone as opposed to an optimal zone and the experimental intensive table welling culture tended to validate that opinion. The term survival zone represents the zone where commercial efforts could be applied with the infrastructure that was available over 100 years ago. So why not benifit from the vast amount of science research and available technology? The industry has since refined that infrastructure but has not capitalised on the biological potential of the species. It would seem that intertidal culture generates considerable and constant stress factors that directly affect the overall health of the oyster. The success of the land based work was directly related to stress factor reduction and enrichment of normal biological growth requirements (we fed them and maintained the oxygen level). For example, oyster farmers are often confounded by second catch. Second catch is the settling of new oysters on the shell of culled, tray culture oysters often rendering them unsaleable without being re-culled. Second catch can represent a major problem in that second catch oysters (a) reduce culture growth rate and (b) often out performs the original oyster. A result which, has mystified the science community. What is happening, biologically, is interesting. A 1-2mm oyster which has settled on the top shell of a 50mm oyster can, over a period of months, grow to a similar size while the original 50mm oyster shows little growth at all. The reason behind why such growth occurs was the basis for establishing the table-welling process. It demonstrates an interesting culture phenomenon that can be exploited in terms of enhanced growth. Observing the oyster growth phenomenon raised the question, why does second catch tend to out perform its host? If one considers that a plate grade Sydney Rock Oyster pumps approximately 60 litres of water per day as a function of breathing and filter feeding then the answer is simply one of energy conservation. Stress also plays a significant role but is a considerable variable in intertidal lease culture. The host oyster does the pumping while the second catch oyster has a free ride or in this case a free meal. In science terms, the second catch spat needs to only expend minimal energy for internal somatic growth because it does not have to pump and that allows for maximum application to shell growth. It is fed from the flow and turbulence created by its host. There are other factors, such as flow rate and feed density, involved in maximising shell growth as one can see from observing variations in wild oysters growing in differing estuarine and oceanic flow conditions but these factors can be controlled in tank culture. Basically, the table welling results indicated that while still in a juvenile state young oysters can add shell at approximately 1mm per day in the presence of adequate feed and specific environmental factors. Yes I did say 1mm per day which is seasonally stimulated by upward and or downward temperature trends. And yes that does mean that tray cultured oysters do not grow during high summer and the slump of winter. As mentioned above, the oysters can be observed with open shells. Far wider than ever observed in the wild and they stay open with no pumping action. The shells are wide enough to see inside and one can clearly observe the gill structure. The team have spent hours scuba diving in the table-welling tanks marveling at this unusual metabolic activity. However, intensive land based farming raised many new issues and problems requiring development of functional engineering such as the sort machine. 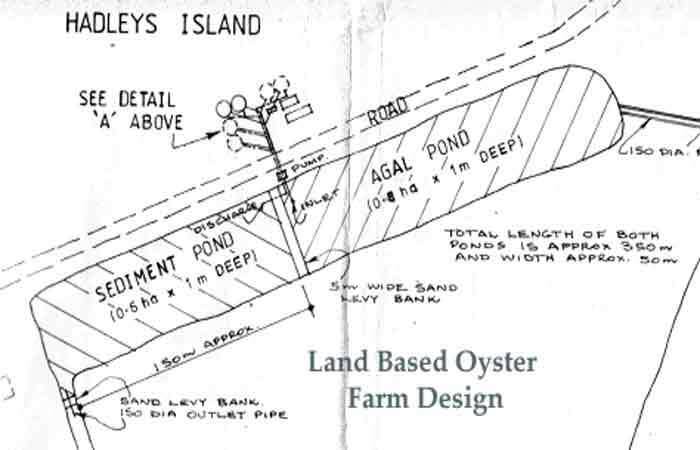 Whilst the land based oyster nursery project in 1987 did not achieve commercial viability it did overcome many obstacles and demonstrated the potential of a vastly different approach to oyster and perhaps all filter feeder aquaculture. 1. Shell Growth could be observed at approximately 1mm per day at temperatures above 19 degrees. A growth index was developed to qualify this new performance. Basically we computed the addition of the length, depth and width (in millimetres) divided by the days in culture over the temperature variation relative to an identified standard. 2. Oyster growth rate appeared to have a relationship to increasing and decreasing temperature. The growth rate slowed in both the summer peak and the winter trough. However, growth was maintained over the summer water temperature peak by “see-sawing’ the water temperature. This was achieved by mixing lake water with pond water and using variable flow pumps. The plan view drawing, above, shows the operational flow of water through the algal bloom generation pond, through the table welling tanks and back to the sedimentation pond for natural settling and purification prior to disposal back into the lake. The flow or exchange rate for continual operation was 500 litres per minute per tank. 3. Table welling oysters had an unusual tendency to open up wide enough to observe inside the shell. They tended not to pump but stay open utilising flow to supply oxygen and feed particles. This behaviour had not been previously documented or observed to the knowledge of the author. 4. The shell of fast growing oysters was quite thin and very slightly translucent. This factor made the handling process an issue. Oysters needed to be examined and handled carefully. If oysters were to be consolidated on existing leases they would require gentle handling, mechanical and predator protection. Consequently all nursery grading was carried out with machines that operated underwater. We designed and built the grading machines. We had no choice. 5. The Table Welling oysters were grown at a density of approximately 300% of surface area. This was far too high a percentage for the initial type of trays that were used and grading became a major factor to keep up with growth rates. 6. Pseudo faeces and faeces were continually produced and appeared to be a highly suitable feed for Eastern King Prawns grown in the effluent pond. The numbers and survival figures for the prawns was unknown however medium size 50 – 75mm prawns were observed schooling in the late afternoons within only a few months. The effluent pond was stocked with the larvae of 2 x 300mm females from Queensland and spawned on site. The 2 x 100,000 litre oyster tanks provided excellent 3 dimensional larval holding facilities with high observable survival. The larvae were flushed into the effluent pond on about day 14. Aeration was supplied to the tanks during this period as the flow rate had been significantly reduced. No aeration device was added to the 0.5Ha pond. 7. The production of the faecal products was surprisingly large. The system was routinely drained and cleaned once every 4 weeks to reduce the faecal build-up within the oyster masses. Cleaning could be improved by engineering advanced tray systems and self cleaning tank applications. 8. The oyster system development indicated a potential polyculture application with existing prawn culture. The ability of oysters to filter water was highly significant and an overlooked natural bio process. Many options with polyculture are highly feasible. 9. The need for consistent grading was unforeseen and made difficult by the 1.2 meter height of the tanks which restricted access. The project was designed to operate with 6 x 100,000 litre tanks but only 2 were built. This meant that the 1.5 million spat and other partially grown stock were basically overcrowded. The stocking density of 300% was more a function of the financial restrictions of the company, in setup mode, than a planned strategy however permanent culling did not seem necessary at that stage. 10. Such technology is probably transferable to all filter feeder species. 11. Table Welling has no fouling and minimal faecal build-up which is often associated with lease culture and up-welling methods. No disease was observed in the system. Mortality was very minimal and associated with newly introduced spat that had been damaged during removal from plastic slats. 12. In experimental flow tests we were able to get oysters to invert their initial shell growth and “grow the cup down” for 3-4mm which gave them a permanent signature or brand, quite different from other single spat or hatchery bred stock. Why Did The Project End? The oyster nursery was a registered company with 4 equal shareholders. They consisted of; the Wallis Lake site land owner, a local engineering firm, a well established accountant and myself. We all brought essential elements to the business. 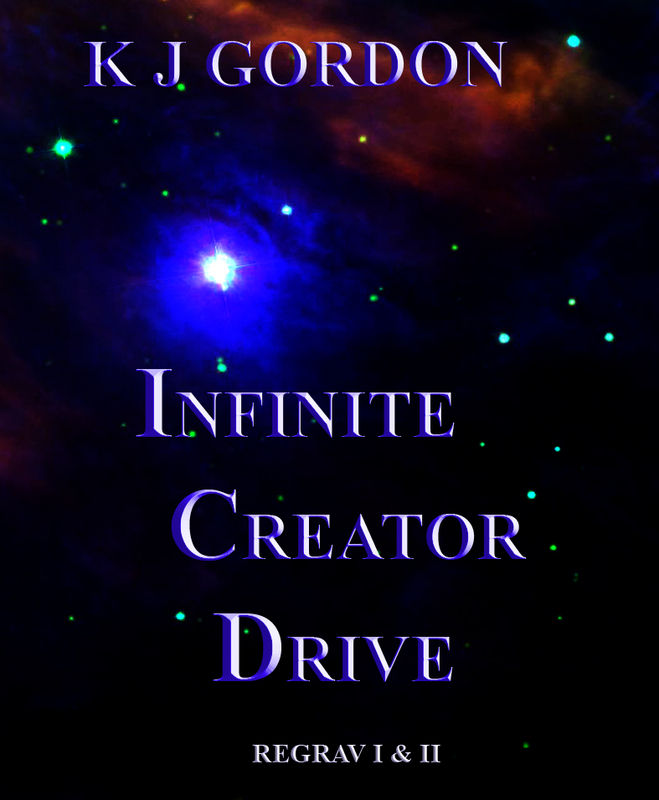 The project was unorthodox but designed to be self funding. Within 8 months we were on track to achieve viability with an initial order of approximately 800,000 x 50 mm spat for delivery to a Queensland oyster company. In 1986, verbal approval was granted to the group from NSW Fisheries Research to investigate the potential of the process. 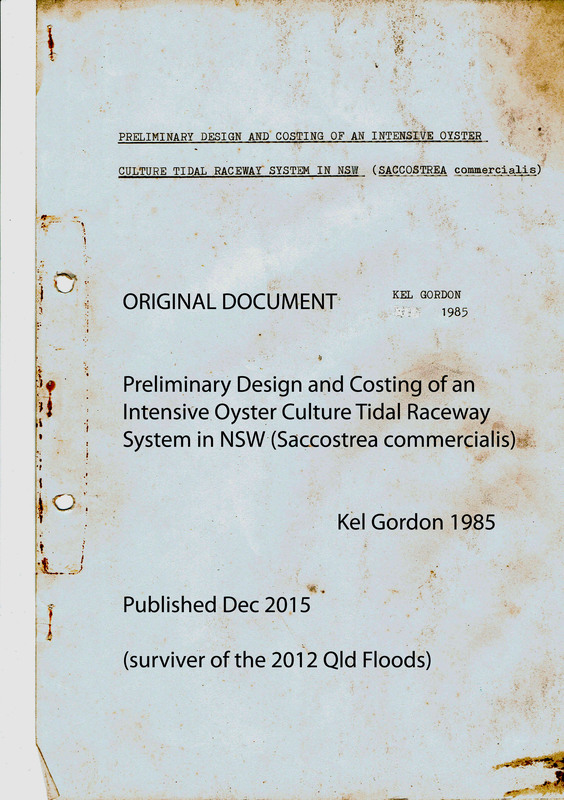 Only verbal approval was given as there was no formal way to classify land based oyster culture in NSW. Our company was advised by Fisheries Research to keep the project under 2 Ha and not to proceed commercially. In October 1987, however, a rather ignorant, NSW Fisheries Inspector visited the site. Unaware of the verbal experimental approval he removed the main electrical fuses and, apparently, began strutting about proclaiming legal proceedings against the project as an illegal fishfarm. 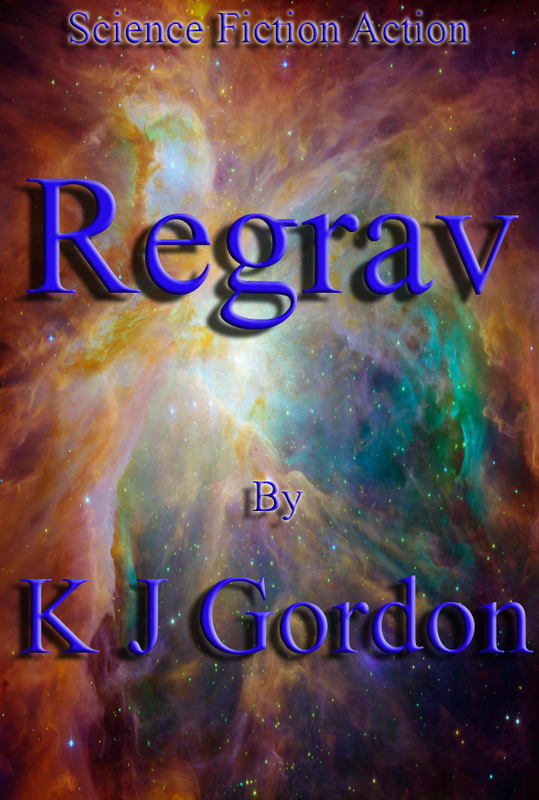 His error was realised relatively quickly, but not quick enough. Draining the tanks in daylight allowed the internal tank temperature to rise to over 60 degrees, from reflected sunlight, which was lethal to 90% of the young spat oysters. The internal radient heat was sufficient to bubble and distort the heavy duty plastic tank liner. Within six hours, the pumps were restarted with newly purchased fuses. However the damage was done but only really identified approximately one week later while inspecting the trays with dead shell. The following week the liner ruptured totally destroying the 100,000 litre tank. Although these incidents were dramatic they would not have greatly affected the business from becoming commercially established under normal economic conditions. 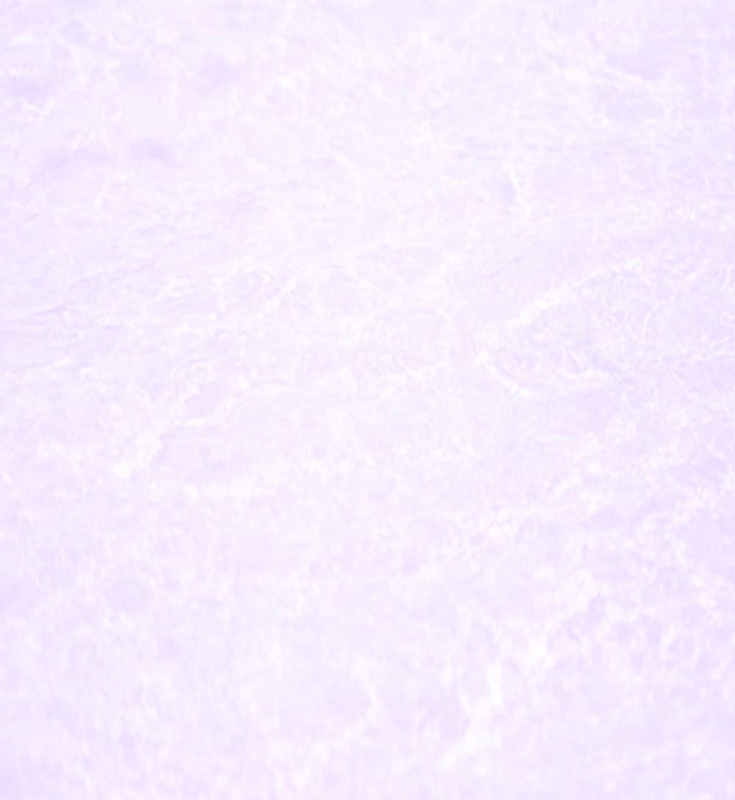 We already had orders, the product was high quality and our research was largly completed. However one other major confounding factor occurred within the next few weeks. Australia suffered the stock market crash of 1987 and the financial base within our company disappeared virtually overnight. After 18 months of intense work the project simply ran out of money with no stock to trade on. Without any consultation all monies were withdrawn from company accounts by the accountant. The Land Based Oyster Farming project ultimately ceased for the wrong reasons. It was the most exciting period and the potential was hard to contain. Observing just what could be achieved with enhanced oyster culture on limited financial support was interesting in terms of cost and material set up. 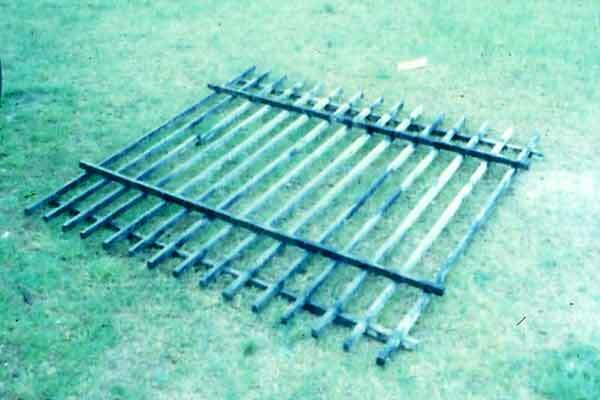 We designed and built multi-layer spat catching slats and demonstrated the extremely efficient potential of such devices (in nursery application) as had been tested and strongly supported by the late John Holliday from NSW Fisheries. Our first ever spat catch was over 2 million. We achieved good shell growth at oyster densities of 300% of surface area. We were able to achieve positive growth and fattening under simple drip feed test systems. We designed and built prototype air-operated submersible tray systems for consolidating 50mm spat. We were in negotiations for construction of specialised lease and tank trays which would reduce faecal contamination and allow greater and more even flow across the tray reducing dead spots while aiding in predator protection when used on open leases. We designed and built specialised sorting machines that operated underwater. We gained insight on how to design specialised punts and segmented polyethylene submersible trays to overcome issues with intertidal culture. Washing, sorting and harvesting would have been done on the punt with the trays rolling up onto the front and rolling off the back of the punt. Such a system would have operated independently of tidal flow and should have had the capacity to wash, de-foul and grade 3-4 hundred meters of tray per day at about a meter per minute. That was where this company was heading in 1987. And then it was simply gone. Now seems an appropriate time to write this article. Australian aquaculture has moved on dramatically since those days and the application of land based oyster farming/nursery/polyculture can be viewed for what it is. And that is; a developmental process with, potentially, a profitable aquatic farming application. One question that was not sufficiently answered, which is relevant to prawn farming latitudes is, whether the Sydney Rock Oyster totally survives QX disease when not weakened by intertidal stress? Evidence of old, healthy wild stock can be found in all the QX affected estuaries and we still tend to think that QX survival is possible. In any event the tropical Black Lip species may provide an ideal substitution for polyculture applications such as biofiltration or biopurification. Many may still agree with the uninformed opinions of the newspaper article of 1987 in figure no. 1 (where uninformed oyster farmers saw the project as a threat with, ‘of uneconomical product and over catch problems’). I say those views belong in 1887 and not of 2017. Today the world’s needs simply cannot be compared to those of only a few decades ago. Wages and life styles may not sustain subsistence farming practices in Australia for much longer. Particularly on products where the wholesale price has been consistently stable for considerable periods. The farming methods must encourage greater efficiency and for oyster growers their wholesale price is not going to rise. Their profit must be in exacting culture methods and then through better marketing. Isn't that certainly food for thought?